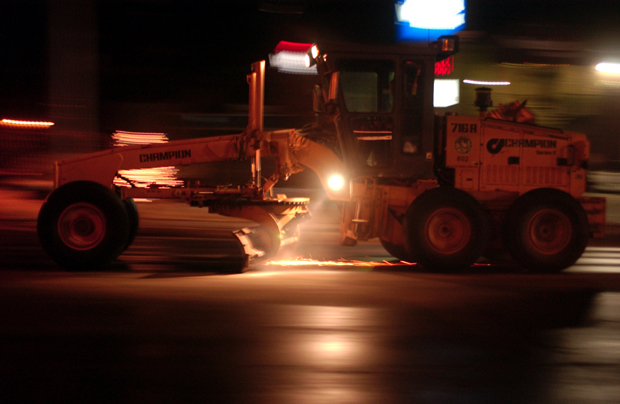 Tuesday night landscaping graders gear up for forecasted snow with a practice run, grinding sparks down Western Avenue Augusta Maine. 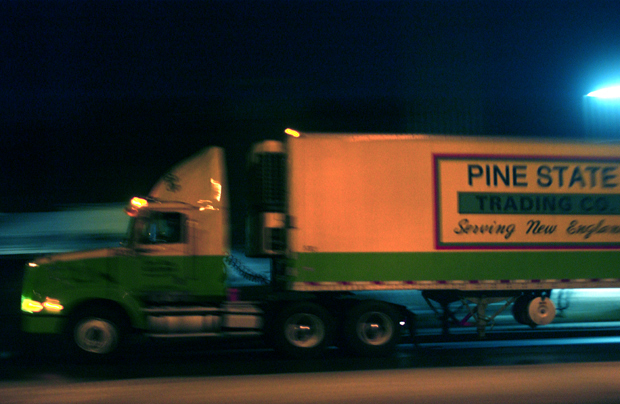 Pine State Trading uses Western Avenue Augusta Maine every night to get to Interstate 95. Delivering cigarettes and snacks to Maine and other New England territories.